HI. We are Ludwig and Mozart. I'm Ludwig and I have intense, blue eyes. My brother Mozart has soft brown eyes. Both of us are sweet, friendly and of course...very,very cute. 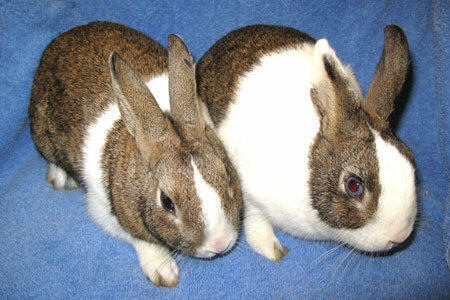 We are a bonded pair of neutered, Dutch boys who must be adopted together. We are ready for fun, action, adventure and kisses from you. We would love to have a room of our own to run, play and explore. We'd love to spend a lot of time with you getting attention. You will have fun and we will have fun as you admire how adorable and entertaining we are!